Sweet Annibelle just turned ONE!! She made me work for her smiles every session except this one! She was so happy!! She celebrated with an adorable hot air balloon party. She’s tiny but mighty and super adorable! I’ve enjoyed getting to see her grow over the last year. 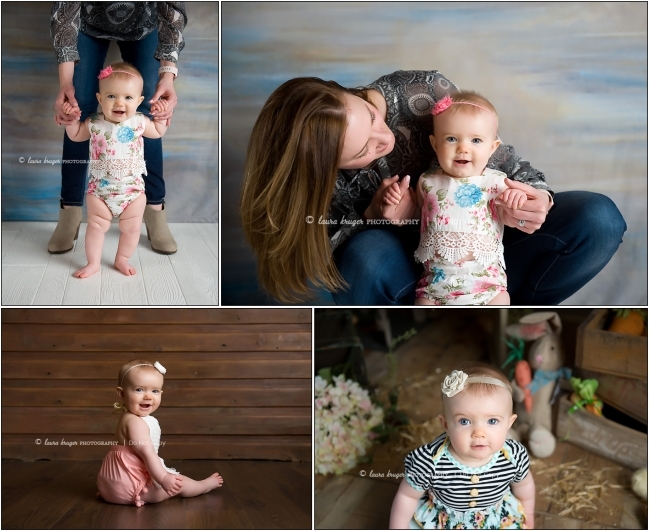 One year sessions are so fun since they are learning to walk and are super busy! Happy Birthday Anni!! 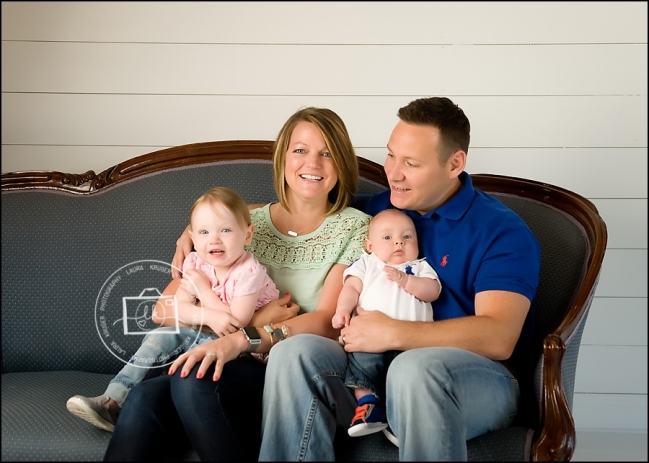 I’ve been fortunate enough to photograph this little family since Mae was in her Mommy’s tummy! I absolutely love that they make the trip over from Peoria every 3 months and sometimes in between for The Sweet Baby Collection sessions! Beau came for his 3 month session and brought his big sister for her 2 year session! We were lucky enough to get a few family pictures in the mix too! Kelsey is always having giveaways so I highly suggest you go see her Facebook page! She was even excited that she didn’t have to wear foundation for her session this time around. Her skin is glowing!! 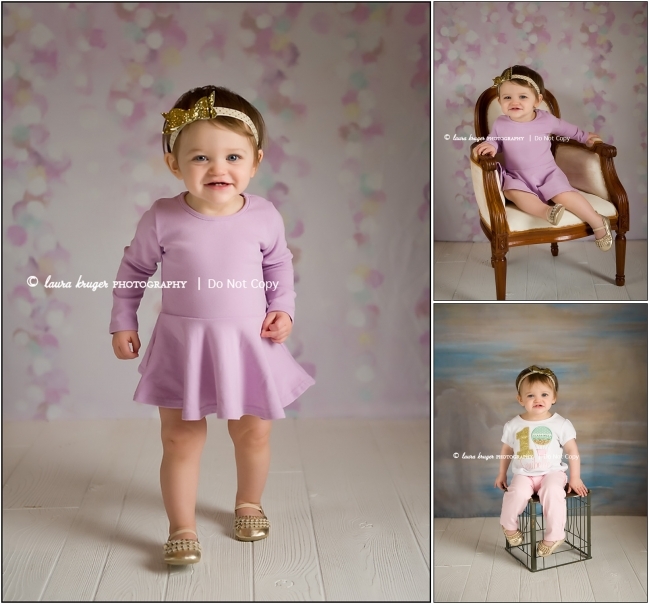 On to a few adorable pictures from their session!